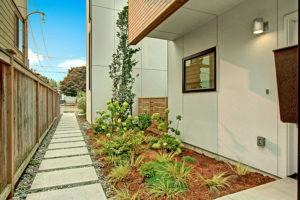 Step out the door and hop on the Metro and take the 56 Express to Amazon or Route 50 to Starbucks in Sodo! 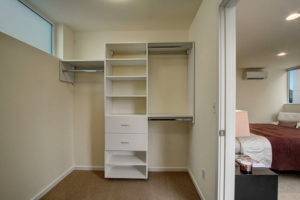 That’s for work. 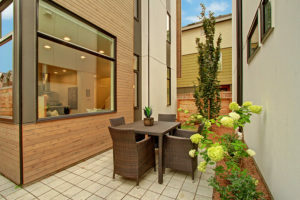 For play, you’re two blocks from parks, tennis, playfields and Alki Beach featuring sensational views, coffee shops and great local restaurants! 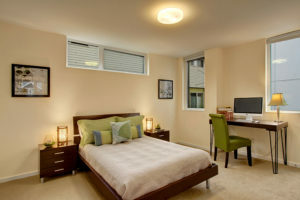 But why leave home at all? 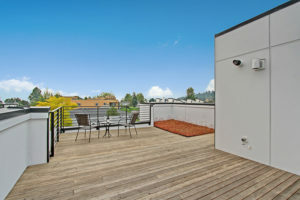 The green (living) roof with expansive rooftop deck delivers stunning panoramic views and plenty of space for entertaining, yoga under the sun or stars and cocktails at sunset! 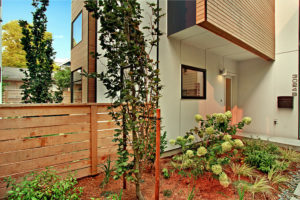 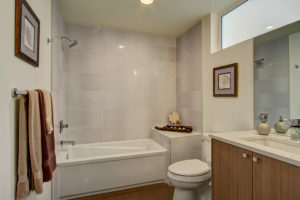 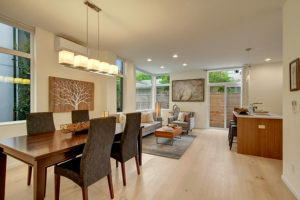 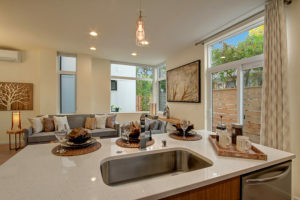 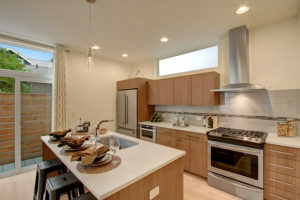 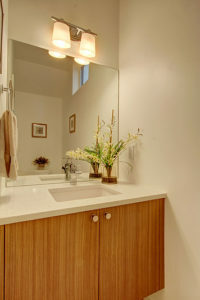 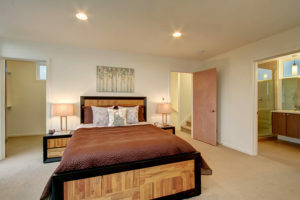 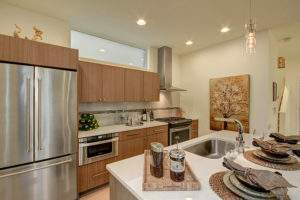 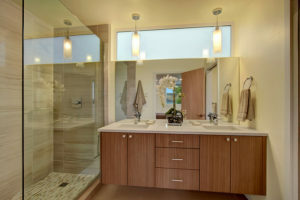 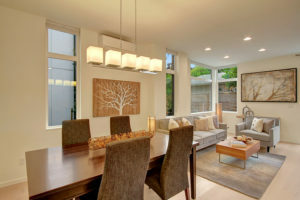 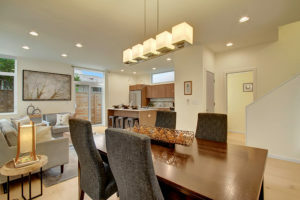 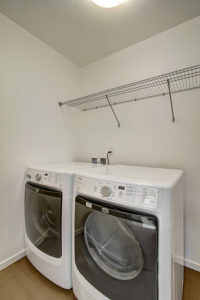 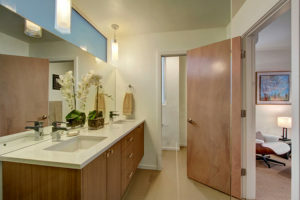 Quality built in 2016, this light-filled, freestanding modern home features sleek finishes, custom window treatments, mini-split heating and air conditioning, en suite master on separate level with walk-in closet,four-piece bath with walk-in shower, private deck and full-size Maytag High Efficiency washer/dryer on same floor. 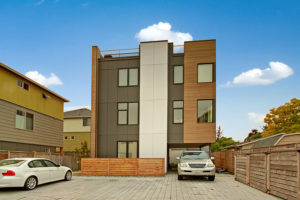 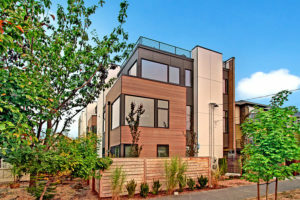 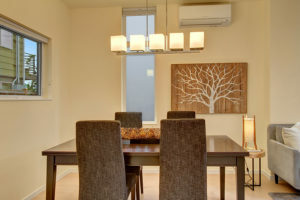 Leave the car in one of two side-by-side deeded parking spaces that come with this exceptional home and enjoy all Alki has to offer on wheels or by foot. 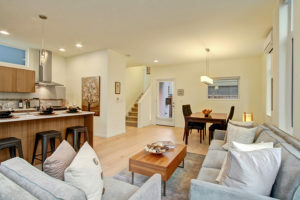 And don’t forget about the free shuttle to the West Seattle Water Taxi to enjoy Mariners games, concerts or downtown Seattle’s waterfront restaurants! 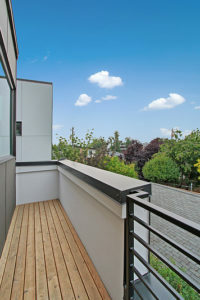 Open Houses Tuesday, September 12th from 11am -1pm and Wednesday, September 13th, 5-7pm — join us on the roof for sunset!